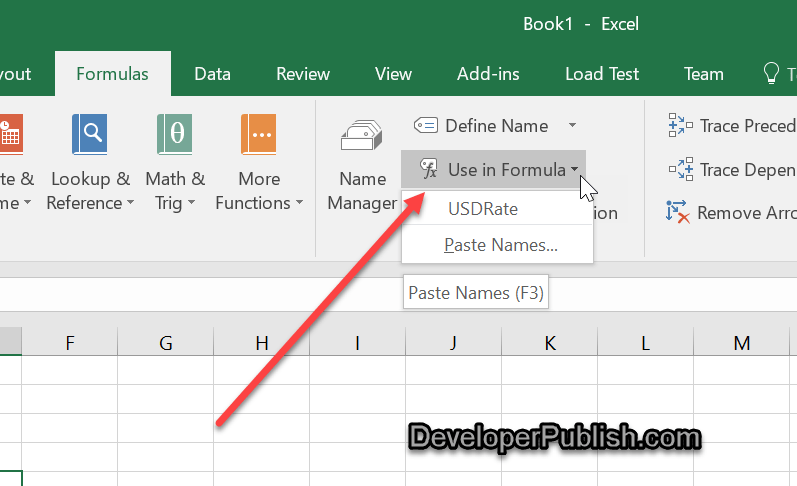 Named range is a very useful feature in Excel especially when you work with lot of formulas but there are times when you might want to view the list of all the named ranges in your workbook. There are couple of ways in which you can view the named ranges in Excel. Option 1 : Name Manager Dialog window. 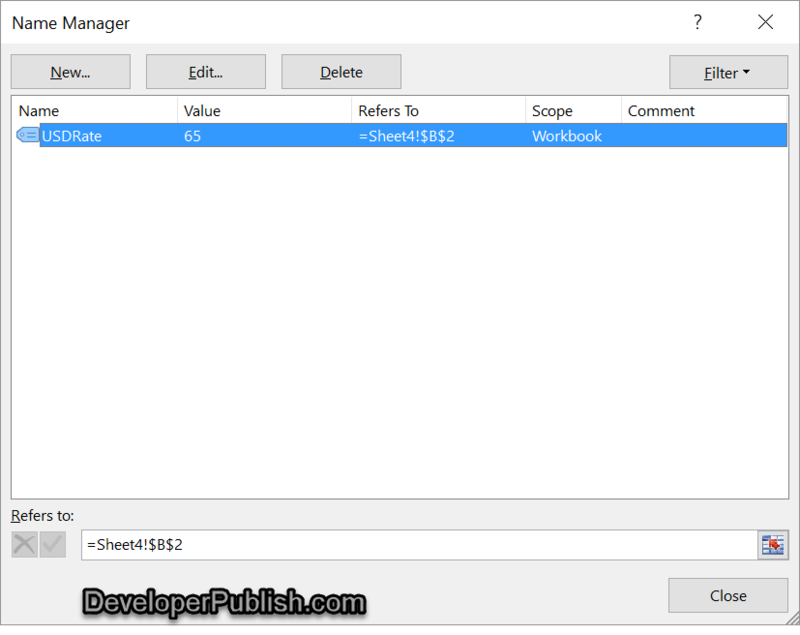 You can use the Name Manager Dialog Window to view all the names. 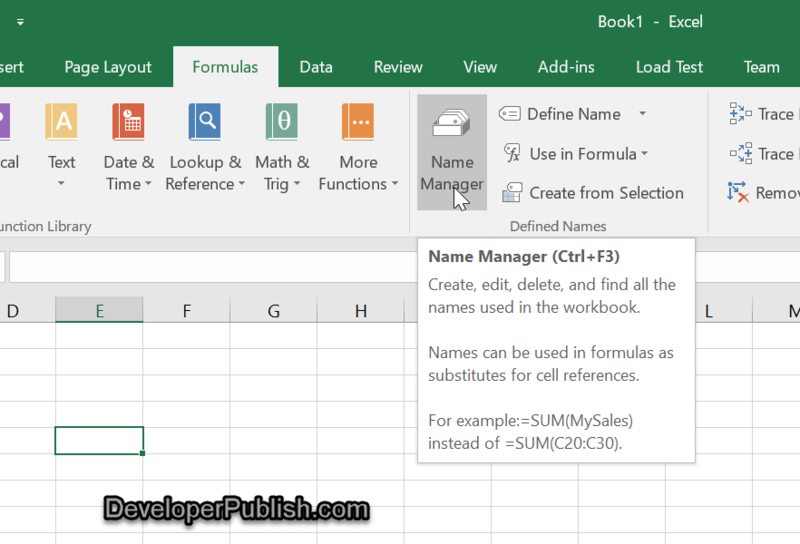 Just select “Name Manager” from the Formulas tab in your Excel. You should see the list of all the Names Ranges used. Click the “Use in Formula” drop-down list from the “Formula” Tab as shown in the screenshot which should display the list of all the named ranges use din the workbook.